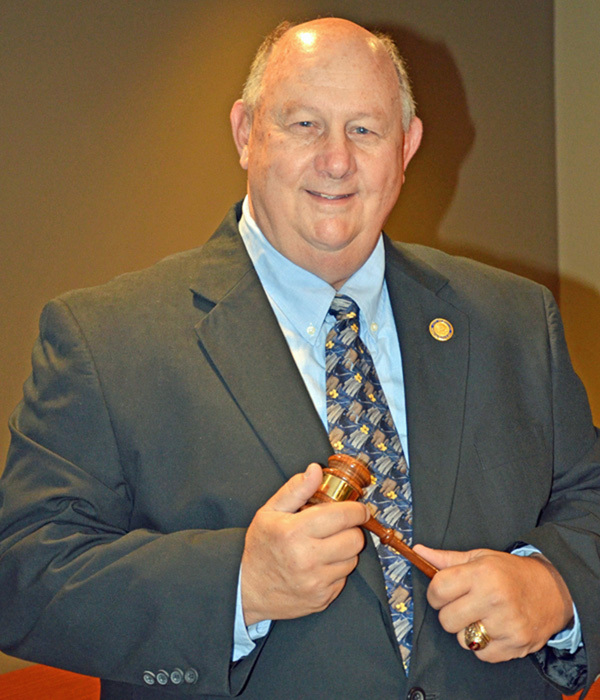 Skip Lee believes the foundation for his commitment to education, public service and extensive community service are rooted in the opportunities provided in Arcola schools and the support of the Arcola community. 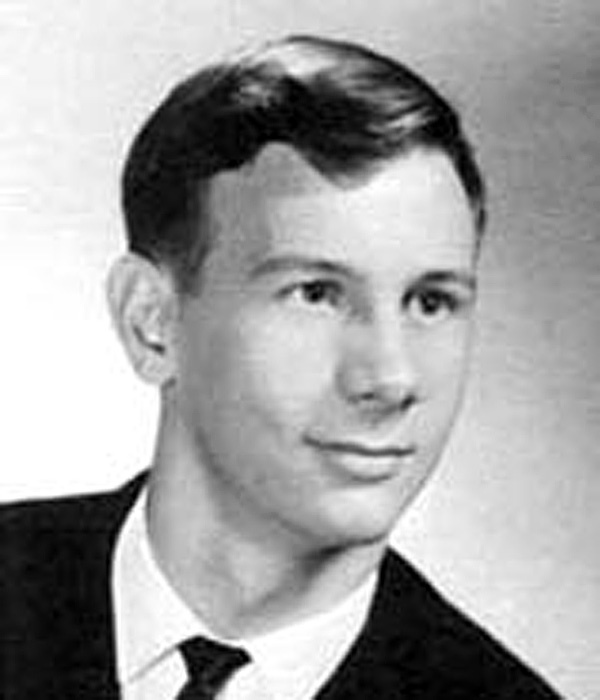 Charles Lowry “Skip” Lee, the first of two sons of Navy submarine officer Robert L. and MaryAnn Dearborn Lee, was born in San Diego, CA, July 21, 1950. Prior to his enrollment in fifth grade at Arcola Elementary School in 1960, Skip and his family lived in Virginia, Alabama, New York and New Jersey. Skip excelled academically at Arcola High School, was named a National Merit Scholar Semi-Finalist and also received an appointment to the US Naval Academy. He was Senior Class President, commencement speaker and a member of National Honor Society and Student Council. Skip served as football and basketball manager, student trainer and was a member of Lettermen’s Club. He was also involved in chorus, Drama Club, class play, Latin Club and Modern Scientists. Skip was an officer in Future Teachers of America and received the FTA service award, as well as a teacher education scholarship. Following his AHS graduation, Skip pursued his interest in teaching at Eastern Illinois University, where he was a member of Delta Sigma Phi fraternity. He worked as a Biology teacher aide at Arcadia High School in California during summer breaks and then completed his B.S. in Education in 1972. While at EIU, Skip met Zoology major Susan Sanders in 1971 and the couple was married in Paxton, IL, on September 1, 1973. Skip joined the faculty at Rock Falls Township High School in the fall of 1972, where he began his teaching and coaching career. In 1976, he and Sue moved from Rock Falls to Urbana, IL, where Skip worked as a Botany teaching assistant while he completed his M.S. in Biology Teaching at the University of Illinois. After returning to Rock Falls, Skip continued his doctoral studies at the U of I, with additional coursework in Chemistry and School Administration at Western Illinois University. The Lees relocated to Sterling in 1979, where their children John, William and Jennifer were born in 1984, 1985 and 1987 respectively. During his years at Rock Falls T.H.S., Skip chaired both the Science and Mathematics departments. He served as Head Athletic Trainer, Assistant Football Coach, Assistant Track Coach, Scholastic Bowl coach, Science Club sponsor and Curriculum Committee chair. Skip also served on committees for Local Professional Development, Hazardous Materials and was the cooperating teacher and supervisor for student teachers. He was honored for his many years of service as Head Athletic Trainer in 2006, when he was inducted into the Rock Falls T.H.S. Athletic Hall of Fame. Skip retired at Rock Falls in 2011, after thirty-eight years in his Chemistry, Biology and Math classrooms. He also completed twenty years as adjunct instructor in Chemistry and Biology at Sauk Valley Community College in 2012. During his years at Rock Falls, Skip was board member and 1997-1998 State President of Illinois Association of Chemistry Teachers, as well as an Illinois State Board of Education School Point of Contact in Science. Other professional memberships include National Science Teachers Association, National Association of Biology Teachers, Illinois Political Action Committee for Education, Illinois Education Association and National Education Association, formerly serving as Regional Vice Chair and State Committee member. Skip is also a member of Eastern Illinois University, University of Illinois and United States Naval Academy Alumni Associations. His fraternal memberships include Beta Beta Beta, Phi Delta Kappa and Phi Sigma. Skip Lee’s commitment to community service mirrors his steadfast commitment to teaching. He served as Sterling City Council alderman from 2005 until his election as Sterling mayor in 2011, and continues to serve in that capacity. Mayor Lee was recipient of the Illinois Water Environmental Association Public Official Award in 2016. Skip is an admissions information officer for both the U.S. Naval Academy and the U.S. Merchant Marine Academy, and also formerly served as a U.S. Military Academy Field Force officer. He is a former member of the Service Academy Selection Boards for Congressmen Lane Evans and Phil Hare, and is currently serving in that position for U.S. Senator Richard Durbin and U.S. Representative Cheri Bustos. Other former community involvement includes his service as Sterling Public Library Board president, Boy Scouts of America Merit Badge Counselor and member U.S. Selective Service System Local Draft Board #64. Skip is a retired Emergency Medical Technician and American Heart Association CPR instructor. The Lees were a former host family for students of International Fellowship Organization and Rotary Clubs of America foreign exchange students. In Sterling’s Grace Episcopal Church, Skip has served in a leadership role as Vestry member, Senior Warden and member of the Finance and Rector Search committees. He currently serves on the Diocesan Council of the Episcopal Diocese of Chicago. While still greatly committed to public and community service, Skip’s retirement from teaching allows more time for reading, guitar and travel. Skip and Sue, a retired registered nurse, now have more time to enjoy their children and four grandchildren. Skip gives much credit to Sue and to his brother Allen, who was formerly with the AHS Class of 1971, for providing continued motivation and support for his life’s accomplishments.